Any home or business can quickly become infested with mold with the introduction of a water source, like a roof or plumbing leak. Auckland Steam n Dry mould removal cleaning will restore a healthy indoor environment. Without Mould removal, it can spread throughout the property in as little as 48-72 hours and can produce allergens and irritants that have the potential to cause other health effects. If you suspect that your home or business has a mold problem, Auckland Steam n Dry mold removal specialists will walk you through the process and remove any worries about the mold abatement process. If mold is found, they have the training, equipment, and expertise to handle the situation. In 2004 the Housing Health and Safety Rating System (HHSRS) has classed Mold as a category 1 risk to health. This is the same category as Asbestos. With over 30 years of mold cleaning decontamination including mold removal, structural drying, indoor air quality, and water damage restoration experience. Auckland Steam n Dry understand the nature of mold growth and also building construction. You may have tried to kill and remove the mold yourself by using a bleaches etc, only to find it does not kill the mold, or for very for long, the problem has got worse, and, keeps coming back after you have wasted money on redecoration costs. We are also a trusted source for many property managers, estate agents, with 30 years of experience in mould removal and decontamination. Our company was founded on the belief that customer satisfaction is of the utmost importance and also to provide the public with a healthy indoor air quality environment. From the initial consultation to works completion, your health is at the forefront of everything we do. If satisfactory steps are not taken to remove the cause of the mold, germination growth may be an issue in the future as mold growth is a symptom of a cause. Get specialists, expert, to advise on controlling fungi or black mould removal growth. Due to the health and hazardous nature of black mold & damp issues recommend appropriate health, and, safety practices that the mold decontamination cleaning and removal is only treated whilst wearing personal protection equipment, also, respiratory apparatus. Mold spores are a common part of household and workplace dust. However, when mold spores are in higher quantities, they can be a health serious hazard risk. Causing allergic reactions, and, respiratory problems. Mold allergies have always been a serious problem for many people. Prolonged exposure, e.g. daily workplace and domestic exposure, can be particularly harmful even carcinogenic. Health problems associated with high levels of airborne black mold spores: include allergic reactions, asthma attacks, sore itchy eyes, nose, and, throat, infections, sinus, as a result, other breathing problems. When inhaled, some mold spores may begin to grow on living tissue, attaching to cells along the breathing tract. Therefore, causing further problems in those with weak immune systems. A serious health threat from black mold exposure for humans is a fungal infection. People exposed to high levels of mold contamination, such as black mold or people with bad exposure may become infected. Sinuses, and, digestive tract infections are most common; lung and skin infections are also possible. Auckland Steam ‘n’ Dry utilize the largest commercial truck mount cleaning units in New Zealand. We provide quality mold cleaning services since 1987. We serve both home and work clients, with the same high standards and attention to Auckland regulations. Servicing East, West, North Shore, and, South Auckland City. We often referred to as the cleaning and restoration experts in Auckland. 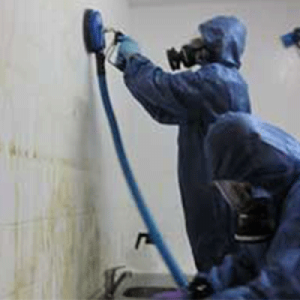 We also provide expert odor removal, structural building drying, meth decontamination with a guarantee. This fire, smoke and drying remedial information is provided by Graeme Stephens, an IICRC certified 2001 Master Restoration Technician. So, you make an informed decision for your fire and smoke clean up needs. For the smoke and fire clean up, call Auckland Steam n Dry on 0800 783-266 or email us. The most common effects are a runny nose, watery eyes, and, coughing also asthma attacks. This is usually the direct result of inhaled spores in a home or work premise. One of the main danger to the health of a property and its inhabitants is mold growth. A past flood in a home or workplace property grants black mold ideal conditions in which to thrive within the building’s structure. With the risk to health being the exposure over time and the species and the density of airborne spores. Many properties have mold in some form or other, often hidden behind surface finishes and in voids. Whether your mold contamination comes as the result of a past flood or just general damp and moisture in your home. Auckland Steam n Dry can assist with the mold remediation, moisture testing or drying. Though only operations involving remediation above Level 2 require a qualified and experienced mould removal specialist. Mold growth can quickly get out of control in any home or work building. A Level 2 contamination can rapidly turn into a Level 3. We can respond to mold decontamination remediation within 24 hours. With over 30 years’ experience in dealing with both toxic and black mould removal damage. Auckland Steam n Dry are the mold specialists you should contact if you find a mold problem.